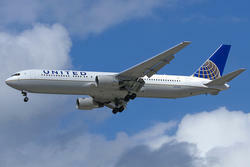 United Airlines today announced plans to launch daily, nonstop flights between its New York hub, Newark Liberty International Airport (EWR), and Istanbul (IST), effective July 1, 2012, subject to government approval. Westbound service from Istanbul begins July 2. Istanbul will be the 76th international destination that United serves from New York/Newark and the 37th city in United’s trans-Atlantic route network. With service to points in the Americas, Europe and Asia, United offers more flights from the New York area to more destinations worldwide than any other airline. United flight 904 will depart New York/Newark daily at 7:27 p.m. and arrive in Istanbul at 12:20 p.m. the next day. Flight 905 will depart Istanbul’s Atatürk International Airport daily at 1:55 p.m. and arrive at New York/Newark at 6:02 p.m. the same day. The airline will initially operate the services with three-cabin Boeing 767-300 aircraft with 183 seats – six in United Global First, 26 in United BusinessFirst and 151 in United Economy, including 67 Economy Plus seats with added legroom. Effective Aug. 28, the airline will operate the service with two-cabin Boeing 767-300 aircraft with 214 seats – 30 in BusinessFirst and 184 in Economy, including 46 Economy Plus seats. Both United Global First and United BusinessFirst feature flat-bed seats, along with a wide range of premium-cabin services and amenities.